Have you ever launched an inbound marketing plan that you thought was perfect but then it backfired? Maybe you generated a ton of leads with quality content, but when you passed them to sales no one converted. Maybe your marketing was successful, but you didn’t have the right metrics in place to demonstrate your success to the powers that be. In the following post, I’ll highlight the six mistakes that can have a deep impact on your marketing success and the comprehensive solution that will help you avoid disaster. To learn more about these mistakes watch this video. Inability to produce compelling content consistently. Define Personas: Conduct research using your current customers and even the customers you lost if you have access to them to develop buyer personas. I prescribe to the Adele Revella's 5 Rings of Insight interview approach which is designed to elicit the most useful insight into the buyer’s Priority Initiative, Success Factors, Perceived Barriers, Buyer’s Journey and Decision Criteria. Clearly, Define Goals and Align with the C-Suite: Decide on priority goals and the buyer personas that are most important to your business for the next year. When developing goals, it’s always good to follow the SMART criteria. If your goals aren’t Specific, Measurable, Attainable, Realistic and Time-driven, things can fall through the cracks. It’s very important that the senior leadership is aligned with these prioritizations. Get their sign-off. Commit to a Core Strategy: Once A and B are complete, create a comprehensive core strategy for ALL of your digital marketing. A smart strategy is one that leverages the insights from the research into buyer personas to create, promote, and measure all content and campaigns. Messaging - create persona based pathways and messaging that is aligned with the success factors and primary initiatives of the target personas. 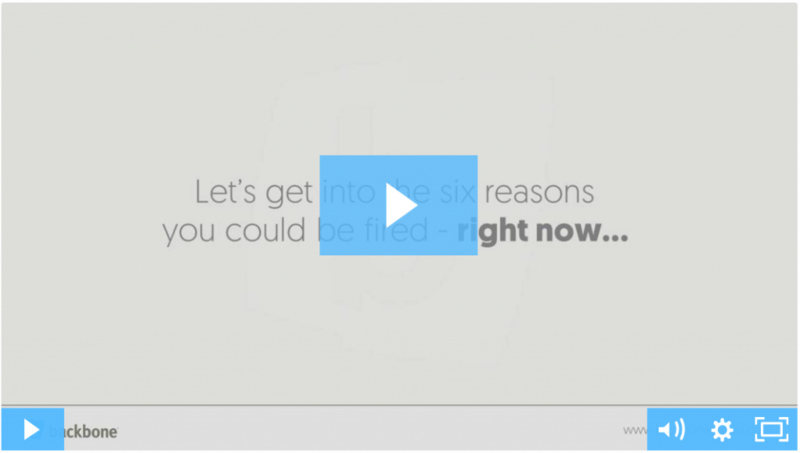 Embed this into the fabric of your current website. Don’t waste time and money making a new website unless the project is already in motion. Hub and Spoke Content - You need to publish and promote compelling content that’s aligned with the interest of your target audience. Hubs are longer, more substantive pieces of content (like downloadable PDF, white papers, case studies, webinars are tools like calculator apps) that you should gate in order to convert qualified visitors. Spokes are shoots of content that are related to the Hub and should allow a link back to the Hub to push traffic to the gate. For example, this article is a Spoke to the Hub which is the video that I want you to watch and share with your other friends in marketing. CTA Packages - Every piece of Hub content needs a set of ad creative that can be used in banners for promotional purposes. This creative is an offshoot of the content itself. Affiliated Industry Influencer Websites - Do what it takes to get the influencers in your industry excited about your content. Branded Website Properties - Promote in all relevant areas of your current website. CTA Packages - Create and use a standard set of social media graphics and slogans to promote and advertise content across all relevant channels. Close the Tracking Loop: This item needs to be considered at every step along this process. Make sure you’re tracking everything properly with your Marketing Automation Platform (MAP), analytics system and Customer Relationship Management (CRM). The essential requirement is to master the ability to track, score and engage with the potential buyer from the moment they first land at your website through the landing page conversion, nurturing and closing of the deal. Set Up a Content Production & Promotion Operation: Creating compelling content, the kind that converts, is a product of a quality insight into the customer and then a highly effective process for making sure that the content comes to life in the form of a video, podcast, webinar, blog, case study or white paper. Here are the key components of an effective content production operation. Content Strategy - Buyer Personas will help you anticipate the questions that your customers are asking at each stage of their journey. Your strategy should be focused on choosing the most advantageous areas that need to be addressed in the buyer journey and the marketing funnel. For example. You may be doing a great job at attracting a certain persona to your site (top of the funnel) but you’re weak on content that helps convert them during the consideration (middle) or decision phase (bottom of the funnel) of their buyer journey. Your content strategy should be focused on filling in the most important gaps. Access to subject matter experts - With a content strategy in place, you now know what you need to for content. Your customers already have access to plenty of content so if you want them to read your stuff it needs to provide a lot of value not just boost a keyword position by a few points and drive in unqualified, un-engaged visitors. The key to adding value is finding ways to extract content from subject matter experts, the people that your customers want to hear from most. The best place to start is with your in-house team but don’t be afraid to recruit friendly customers or industry thought leaders to be a contributor. Problem is that these folks are usually very busy and the last thing they have time for is writing an article. Solution… In our experience, the best process is to set up 30 minutes, record the conversation and then turn it into content. Post everything into your social media pages. Use a tagging taxonomy to enable you to associate related content in a display of content in your website channels and in automated communications based on customer interests and triggers. Make Sure you have a Good Process and Management: If you establish a repeatable process for the steps above in writing, project management can be incredibly easy and handled primarily by your management software. During the first few times that you create content, ensure that you note how long each step in your development process takes. Then template your process in a PM software and set deadlines based on how long each process takes you. Don’t reinvent the wheel with each new piece of content. Establish an engine and let it run, adjusting creative and branding as needed. If you follow these steps then you can avoid those top marketing mistakes. 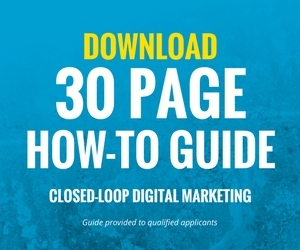 If you want to learn more about closed-loop marketing go here to learn more.